Sending some Thanksgiving cards to deliver your sincere Thanksgiving greetings may be the most common way people would choose. But you may wonder what kind of cards will be a great fit for this holiday. As we all know, turkey is the symbol of Thanksgiving. 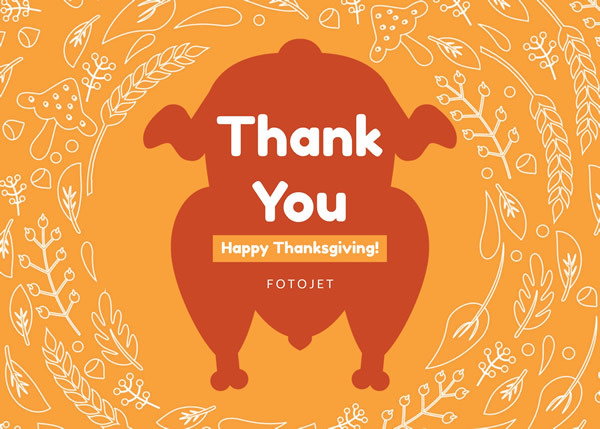 So this Thanksgiving card template with a big turkey image in the central part will suit the holiday well. Type in your wishes and thanks with stylish fonts and make more adjustments. This design will help you to make some happy Thanksgiving greeting cards give back your gratitude in kind.